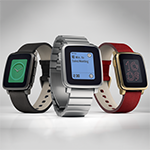 Pebble Smartwatch recently unveiled its new website. 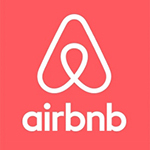 The new design is more consistent with the product’s actual market. The overall tone is more bright and active, with a bolder visual layout. Pebble’s new website addresses comments in a previous post (Pebble Smartwatch, Now At AT&T And Best Buy, Needs To Get Aggressive). I also have a few suggestions for working with dealers like Best Buy. 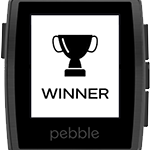 Bike, Weather, Music Boss, and ScoreKeeper are some of the apps I saw on Pebble’s website. Apps shown are real apps. Clicking the screenshots takes you to the app details page on My Pebble Faces. The Discover Pebble page does a satisfactory job of describing apps and Pebble’s technical specs. I still think Pebble should find a celebrity endorsement, particularly an athlete. Also, consumers expect prices to end in 9. People seek to eliminate cognitive dissonance. In simple terms, consumers have a much higher opinion of a brand when they own it. Deep discounts to Best Buy employees would get them to wear Pebble watches. If every Best Buy employee wore a Pebble (imagine that! ), they’d likely be more aggressive in selling them. Retail employees would be in a much better position to support Pebbles, too. That would reduce simply returning the opened product for a refund. The retail box for Pebble watches doesn’t say anything about the watchband (I double-checked). Since the product is already on store shelves, the solution is to print up some bright stickers that say “Pebble works with most 22mm watchbands”. Send the stickers to dealers with instructions to place one on every box. That eliminates misinformation that prevents potential sales. The sticker also reminds consumers that might want to buy a watchband while they’re shopping and in the spending mood. 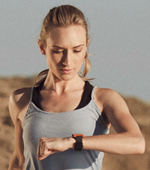 Pebble’s redesigned website is newsworthy because Pebble is one of the few players in the emerging market of wearable devices. The product is distinct in that it’s the only smartwatch that works with both iPhone and Android smartphones. Sony SmartWatch and Samsung Gear only communicate with Android smartphones. Samsung’s product doesn’t even work with all Androids, only a few specific models made by Samsung. Also, I met Pebble co-founder Eric Migicovsky briefly in early 2011 when he first arrived in the Bay Area from Canada. He was visiting everywhere between San Francisco and San Jose to demo prototypes of his self-designed smartwatch. That was before being funded by anybody, or at least prior to Y Combinator. It was even before the famous Kickstarter campaign, the most funded project in the history of Kickstarter. Eric was very energetic about his smartwatch concept. People like that you can’t help but share their enthusiasm.